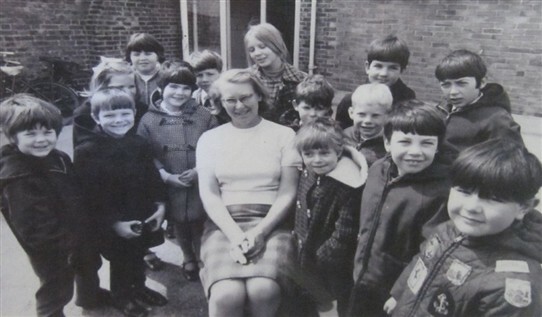 During its long and varied history from 1846 to 1988 the Foulness Island Primary School had only 18 head-teachers but by far the longest serving was Miss Margaret Wolstencroft who joined the school in 1957 and retired in 1986. 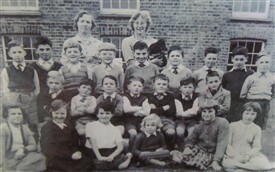 The assistant teacher was Mrs Dinah Nicholls who also served the school for many, many years, before retiring in 1964. Even after the repairs to the head-teacher's house, Margaret was horrified to find there was still only a bucket lavatory. The children's toilets were also of this type right up to 1965 when it was reported that, “Chemical lavatories are still to be found in the two separate outhouses for boys and girls.” Some time after this main drainage was installed on Foulness. There were a total of 27 children by this time, some of them from army families living at Courts End. It was a shifting population as postings to Foulness were often short term and army wives, in particular, were relieved to move on as they found island life very dull. The curriculum had grown out of all recognition from the early days of arithmatic, hand writing and reading. Now there were school visits to Southend, London and Hockley Woods. In 1966 a television was installed. Children no longer had to walk to school. School meals were provided although the children were sometimes not keen on the food. As Margaret said, “They were healthy children, but they didn't have healthy appetites for school dinners!” In addition to classroom lessons, time was made each day for physical exercise on the field or in the long school room if the weather was poor. An annual school open day was held on the field with races and side stalls. The recent closure of the parish church has meant less opportunity for people to meet regularly and now both public houses are closed the social life of the dwindling island population is very reduced. However, unlike in earlier times, most people have cars now. Their children are educated at Great Wakering Primary School and later at secondary schools in Rochford and Southend often followed by university and successful careers in the wider world. 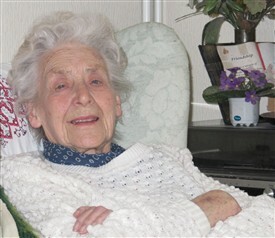 Margaret still lives in the school house which has been her home for over 60 years. 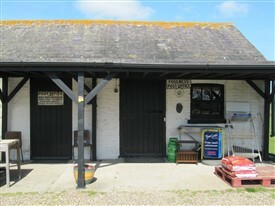 She takes a keen interest in the Heritage Centre in the school building next door and does her shopping at the village shop held in the old stables of the Chequers public house. As Margaret Wolstencroft says, “The people of Foulness are kind and generous,” and she can not really imagine living anywhere else. Indeed, why move when there is always the chance of a meeting ex-pupils, and even the children and grand-children of the class of '57?